Dr. Frances Wills retired in June, 2010 as Superintendent of Schools in Briarcliff Manor, New York, where she served for 16 years. The community recognized her contributions by naming the auditorium in her honor. Frances was formerly Superintendent in Belfast, Maine, for five years. Previously, she served for 20 years as director of curriculum and instruction, middle school principal, assistant high school principal, guidance counselor, and middle and high school English teacher in Maine and Massachusetts. A Phi Beta Kappa graduate of Hunter College, Frances holds a M.A. from Cornell University and a M.Ed. from University of Maine, Orono. 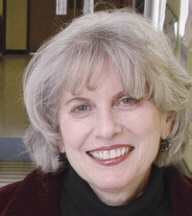 From 1987 to1988, Frances was granted a sabbatical to pursue her doctorate at the University of Wisconsin, Madison, and was awarded her Ph.D. in 1990. Frances has served as an adjunct professor at the University of Maine, Orono and Fordham University. Frances has authored numerous articles on educational issues and co-authored a chapter in a text on the superintendency published by SUNY Press. She has received numerous educational honors and awards and belongs to many organizations including the Rotary Club, Council of School Administrators, Lower Hudson Council of Administrative Women in Education and the Tri-State Consortium. Under Frances’ guidance, the Briarcliff School District has become one of Westchester’s finest, and has grown significantly with nearly $40 million in new facilities. Currently, Frances is writing articles on educational issues, working as a consultant for a regional educational services organization in Westchester County (P/NW BOCES), and presenting at area conferences.